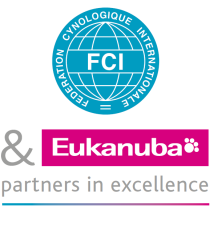 The FCI receives numerous requests concerning the genesis of the current dog breeds nomenclature, created in 1987, called the “Jerusalem nomenclature”. The FCI first chose to publish an article I wrote in 1988 for the English Bulldog club article and another by Veterinary Doctor Surget (http://newsletter18.dogdotcom.be/fr/nomenclature.aspx)), a prominent member of the Zootechnics Commission of the SCC, for which I obviously have nothing but praise. It has occurred to me that today’s cynophiles might like to know more about it, in plain language. The basic articles, the minutes of meetings, the correspondence and the negotiations take up a huge file. In truth, the “new nomenclature”, although it was adopted in Jerusalem on 23 June 1987, is in my eyes a little over thirty years old, because it all started in Paris during a meeting of the Zootechnics Commission of the Société Centrale Canine (French canine organisation) at the initiative of Mr Henri Lestienne, the President of the SCC and President of the General Committee of the FCI (at that time, different from the President of the FCI, who was Mr Karyabu, the President of the Japanese Kennel Club, wholly in favour of my project). The breeds had been divided into ten groups since the 1950s (11 groups before that), presented on the famous “yellow sheet”. The classification was called “utilitarian”. Henri Lestienne initially wanted simply to “put it in order”, as various additions had been made “rather haphazardly”, or to please this person or that person and even sometimes to irritate a club President. Dr Yves Surget highlighted these bizarre anomalies, or as he called them, the “heresies” of the “yellow sheet”. What initially struck me was that the Spitz breed was spread between various groups, the fact that the hounds were entitled to two groups (not surprising if one remembers that the Société Centrale Canine was created by members of the Jockey Club and its hunters) and that they were classified in accordance with the size of the game they hunted rather than for their own size and shape. There was some disorder among the hunting dogs, where one confused the Irish, the English and the British (not counting the Americans). The ninth group was “higgledy-piggledy”. Finally, the sole criterion of “use” seemed inadequate to me. For example, was the German Shepherd still a sheepdog or was it a guard dog? Many “sheepdogs” have never seen a sheep. On the other hand, they all have a sheepdog “type”. As for choosing a single criterion, one might as well choose “company”, the dog’s love for mankind celebrated since the Middle Ages. I therefore proposed the creation of a single group: “Dogs whose purpose is to console a human for being human”. All that would remain to be done would be to divide them into small and large dogs, like Isidore of Seville (Isidorus Hispalensis) in the 7th century. I therefore decided to organise groups and especially sub-groups for dogs which had the same type, and not merely the same use. I proposed characterising them according to a “bundle” of common characteristics, in the same way as consonants are classified in phonetics by a “bundle of features”. Hence my article: “Concerning a componential definition of groups, breeds and varieties”, which appeared in the Revue officielle de la cynophilie française no. 38, 1982. Which distinctive characteristics should be used? I thought of two brilliant systems of Pierre Mégnin, a former army vet, in 1897 and of Raoul Baron, Professor of Zootechnics at the Alfort Veterinary School at the end of the 19th century. Molossoid dogs (with the appearance of Molossus dogs as seen by Pierre Mégnin, massive head, “cuboid”, short and powerful muzzle, solidly built body, etc.). For this type of dog, I will invent the phrase “deterrence dogs” which “are displayed so that they do not have to be used”. Add the nature, length and colour of the coat (study by Professor Bernard Denis in 1981), the attitude, bearing, shape and dimensions of the ears, the shape and position of the eyes, the attitude of the tail, etc. The use is still taken into consideration as one criterion among many. That relates to traditional work corresponding to a certain conformation. The same applies to humans; a marathon runner does not have the same build as a sprinter, who is in turn different from a weightlifter. We held many meetings between 1981 and 1987 as I stated in my article “The personal, but not short, account of the breeds nomenclature”. Thirty years later, we can now revisit some of these events. It is important to remember, in the first place, that when one proposes in-depth changes to any organisation, one is bound to encounter opposition in accordance with what I call the motorway principle: I am in favour provided it does not go through my garden. Mr Edmond Defraiteur, the great Secretary General of the FCI appointed in 1983 gave me one instruction: retain the ten groups, and one piece of friendly advice (for he quickly became a friend while keeping me abreast of his confrontational relationship with Dr Paschoud, the new President of the Standards Commission, which I joined in 1981) : leave the Dachshunds alone. I would have liked to have a free group where I could put the Pinscher and Schnauzer types. I had to content myself with providing them with a sub-group within the 2nd group, which includes guard dogs, defence dogs and deterrence dogs. I initially planned to put all sheepdogs and herders, including the Swiss cattle dogs, together in the 1st group. It was Mr Hans Müller (who also became a friend after his election to the presidency of the FCI in 1985) who told me in Winterthur on 3 November 1987 to put the Swiss cattle dogs into the 2nd group. He recently told me (in 2011) that he regretted this. As for the Dachshund, which means “badger dog” in German, I made two attempts at the beginning, within the Société Centrale Canine. I aroused the ire of Doctor Guillet, a renowned gynaecologist, passionate hunter and overbearing authoritarian, by proposing to put them in Group 6. It was a definite no-no. I had managed to get him to agree that hounds should have just a single group, and that was an achievement in itself. He wrote to me: “You are intelligent, and all the more dangerous for that”. He was to offer the same vehement opposition later when, led by Doctor Paschoud whom he addressed as “colleague”, we proposed creating a sub-group for scenthounds in Group 6, the group for hounds. They had already been described in the mid-14th century by a great huntsman, Henri de Ferrieres, and in 1260 by Brunetto Latini. When Guillet was finally convinced, he defended my nomenclature with the same ardour with which he had earlier fought it. My second attempt with the Dachshunds was to put them with the terriers. Servier had suggested this by creating the “earthdogs” (sapeurs) group. The President of the Dachshund club in France, Mr Depoux, another extravagant cynophile, would no longer say hello to me. In Germany, the presidency had passed from Mr Gendrung, who was quite in favour, to Mr Pepper, who was fiercely opposed. Mission impossible. My creation of the Spitz group met no opposition. Mr Räber had already proposed this but, for me, the idea came from England (Margaret Osborne, “Reviewing the groups”, Kennel Gazette, September 1982). I suggested creating a sub-group of Mastiffs and Mountain dogs in Group 2 (without a problem) and another for “toy terriers” in Group 9, with the Yorkshire Terrier and the Silky Terrier, but the Zootechnics Commission in France (and particularly Dr Surget) and my friend Uwe Fischer in Germany preferred to group all of the terriers together. There were no serious problems with pointing dogs, flushing dogs, retrievers and water dogs. There was, however, a major problem with Group 10, the sighthounds. I had followed the nomenclature of Pierre Mégnin, as well as the classification of Professor Denis of Nantes Veterinary School, by creating a sub-group of sighthounds with erect ears. Sighthounds are not permitted to hunt in Europe. Mario Perricone, a prominent member (and a friend) of the FCI Standards Commission, pointed out to me, humorously, that dogs with erect ears hunted in his country of birth, Sicily. They were going to be forbidden to hunt because of me! In 1989, we therefore transferred the Cirnecos, Podencos and Podengos to Group 5, into the sub-group for primitive types, which was all the more simple as the English call them “Warren hounds”, the warrens being in former times areas where the aristocracy reserved for themselves the right to hunt. That made Edmond Defraiteur very happy. From the beginning of this work, there were two breeds that seemed to me to be unclassifiable: the Rhodesian Ridgeback and the Dalmatian. They were both put into Group 6, with the hounds. The Rhodesian was finally accepted there, or at least tolerated, even though it did not fit the definition of a hunting hound (which pursues game while giving voice rather than barking). As for the Dalmatian, well, that is a heresy pure and simple (proposal of the Standards Commission of 30 and 31 October 1993, in spite of the opposition of Mario Perricone, the President in the absence of Paschoud). The Dalmatian is a Braque which does not hunt. It is in no way a hound, even though it used to run behind carriages. I was not present, having been dismissed at the General Assembly in Buenos Aires in June 1993 and then reinstated in Brussels in June 1995 (I can still hear the cordial telephone calls of Dr Paschoud, Uwe Fischer and Hans Müller). I did not put myself up as a candidate, but I believe it was Uwe Fischer who nominated me. (opposed by the Latin American and Scandinavian blocs). Quite a long and difficult discussion, opposition for political and organisational reasons. Little or no opposition on cynological grounds. Practically all of those present are agreed that the new classification put forward is much better than the old one. In my reply, I picked out the word “difficult”: “It is difficult to constantly see some people looking at each other in order to know how to vote [ … ] it is true that cynology has less to do with this situation than “politics”, or to put it more accurately, corridor politics”. After the (very intense) working meeting in Winterthur on 3 September 1987 between Paschoud, Defraiteur, Müller and Triquet for the “final” fine-tuning, there was another meeting of the Standards Commission in Vienna on 5 October 1987, to sort out some classification problems. Doctor Paschoud, who was harassed and wanted to please everyone, sent us a “new presentation” two days before the meeting, gave us another on the first day of the meeting and a third on the second day. I remarked that, not being an insomniac, I was unable to keep up, and Uwe Fischer made a final point: we will stay with the decisions of Jerusalem and Winterthur. It has always been possible to transfer breeds from one group to another. This has happened at least once, and in fact this was a return journey (the American Akita moved from Group 5 to Group 2 then returned from Group 2 to Group 5). That proves the flexibility of the system. However, as I pointed out in Jerusalem on 23 June 1987, flexibility is not the same as anarchy. There are still a few things to do with regard to dog shows: showcasing the sub-groups in the Ring of Honour and designating the best of these dogs which have “a family resemblance”, before choosing a Best of Group then a Best in Show. We can all dream, can’t we? The definition of the word “breed” given in my dictionary of cynophilia is short and to the point, as is traditional in this type of work: “a group within a species, generally maintained by humans and having distinctive transmissible common characteristics”. So as not to confuse breeds with the “groups” of breeds known to cynophiles within the framework of the FCI and the SCC, let us specify that the breed forms a sub-class included in the class represented by the species. The excellent study presented by Professor Theret in the Revue officielle de la Cynophilie Française provides a definition of the extended breed, as it refers to the morphological, physiological and psychological characteristics which are included in the hereditary type. My definition is made with this in mind. It relates to the entirety of distinctive transmissible common characteristics. These characteristics are common to members of the same breed and they are distinctive within the meaning given to this word in phonology, i.e. that they are opposable to the distinctive characteristics of other breeds. In this definition I have included “maintained by humans” because I was thinking of breeds of dog or other domestic animals and not the human races [translator’s note: this explanation is necessary in French, because the French word for “breed” is “race”]. While the species is derived from nature, the breed is derived from culture, at least within the context of cynophilia. Now let us look at the principle of phonological analysis. /k/ is an occlusive consonant, but it is distinct from other occlusives such as /p/, for example, in that it is velar and not bilabial. /k/ is distinct from /s/ by at least two traits; /s/ is neither a velar nor an occlusive. /k/ and /s/ are nevertheless both consonants. /p/ and /b/ are consonants. Both are occlusive, oral and bilabial. They can be distinguished by a single trait: the former is unvoiced, while the latter is voiced. It could be said that /p/ and /b/ are two “varieties” of a single “breed” of bilabial oral occlusive consonants. /k/ and /s/ belong to different “breeds” and different “groups” because they differ by too many traits. However, they belong to the same “species” of consonants. In the same way, the chihuahua is different from the mastiff by more than one trait. They are, however, both dogs because they have traits common to all dogs: "mammals, carnivores, domestic, members of the species canis familiaris, genus canis, and the family Canidae (digitigrade, non-retractable claws, 42 teeth, etc.)". They belong to two different breeds and different groups. The mastiff and the dogue de Bordeaux are different, but they have more traits in common than the mastiff and the chihuahua. We can say that they belong to the same group of Molossoids. All of the breeds which have the same series of traits in common belong to the group. It is necessary to identify these traits in order to provide each group with a definition. Any dog which lacks one or more of these pertinent traits does not belong to the group. Hence the definition of group which I will suggest: “a class of breeds with a certain number of distinctive transmissible characteristics in common”. If we use the same componential method for the definition of the breed, we will identify the traits of each breed distinguishing it from other breeds within a single group and/or a single species. A breed will be different if one or more pertinent traits are different. As long as the distinctive transmissible common traits are present, we are talking about the same breed. Let us take a breed for which we have identified a specific number of distinctive traits. Any animal which does not possess these traits belongs to another breed (or even to another group or species). Any animal which possesses these traits belongs to the breed. Any animal which possesses these traits plus one more which is only common to a sub-class included in the class of the breed belongs to a variety. The variety, which has a narrower range of traits, has a linguistically richer understanding than the breed, which is more extended. For example, the long-haired St. Bernard and the short-haired St. Bernard have all the traits (characteristics) of the St. Bernard, but each has an additional pertinent trait, i.e. one has long hair and the other short, thus representing two varieties of the same breed. Any member of the sub-class “variety” included in the class that is a “breed” belongs to this class. All long-haired St. Bernards and all short-haired St. Bernards belong to the “St. Bernard” class. This method should allow the establishment of a more scientific nomenclature and enable some breeds to be reclassified in the group to which they belong, no longer using the word “breed” to describe what is actually no more than a variety and avoiding groups which are more or less whimsical, even though they have proved useful in administrative terms. Revue Officielle de la Cynophilie Française no. 38, 2nd quarter 1982, Société Centrale Canine.